This year I turned 55. It seems that with each birthday, I think about and plan for retirement a little more. I have long since resolved that social security will not provide for my needs in retirement (nor was it ever intended to). I am one of an ever-shrinking group that is still covered by a defined benefit pension plan, though it was recently frozen and closed to new employees. 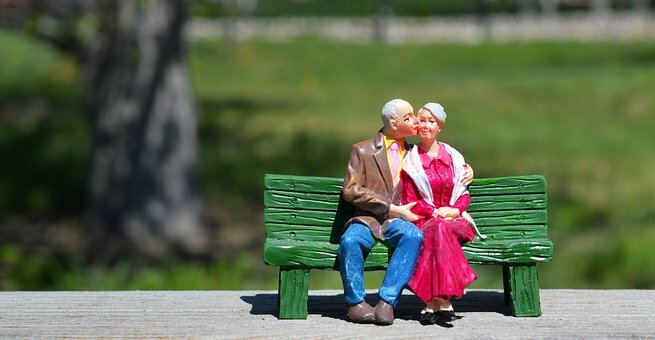 So, how should a pension fund figure into my retirement? One question many aging employees are asking is 'Can you count on receiving your monthly pension check?' Many pension plans are underfunded. By law, company's must have on hand most of the money owed to employees. As long as the company is viable, it is responsible for making up any deficit in its pension plan. If the plan is less than 80% funded, it limits the employees options. For example, if the plan is less than 80% funded you won't have the option of taking the benefit as a full lump-sum payment; and your company may be forced to freeze the plan if it is less than 60% funded. Freezing the plan could mean no new employees are allowed to enter it, and current participants will no longer earn additional benefits. One odd fact for those with a pension plan is that you are more likely to lose your job than lose your pension. Since the company is responsible for any deficit in their pension plan, it could choose to cut costs by laying employees to fund the pension plan deficit. Up until the Delta pension ran into problems, I (naively) assumed what I was owed from my company's pension plan was an automatic entitlement. However, events have shown that when things go wrong, you may only receive a small portion of what was promised in glossy HR pamphlet. While you're fairly safe on benefits accrued, you can't count on future ones. When the company I work for froze our pension fund, my projected benefits were cut in half. Your goal should be to save enough for retirement to fill the gap between your estimated expenses and what you've earned in your pension. You should never rely solely on one source of income. You should have a backup plan and develop multiple source of retirement income. My retirement plan relies primarily on what I have invested and control, such as my 401(k) and taxable portfolio. Since I will likely get something out of my pension plan even if a 'worse case scenario' occurs, I count that portion. As for social security, I don't even consider it in my retirement plan. If I receive anything from social security, it will be treated as a bonus. 3M Co. (MMM) is a diversified global company that provides enhanced product functionality in electronics, health care, industrial, consumer, office, telecommunications, safety & security and other markets via coatings, sealants, adhesives, and other chemical additives. The company has paid a cash dividend to shareholders every year since 1916 and has increased its dividend payments for 59 consecutive years. Yield: 2.2%. As the old adage goes, 'Everyone has a plan - failing to plan is planning to fail.' Retirement planning does not have to be complicated, but not doing it will complicate your retirement. Full Disclosure: Long MCD, JNJ, MMM, PG, KO in my Dividend Gowth Stocks Portfolio. See a list of all my Dividend Growth Portfolio holdings here.